I thought these blues and greens on this pattern paper were so fun. I added in some Bo Bunny swiss polka dot paper for the cuttlebug die cut sentiment. I think I stacked 3 of the die cuts together just to give it a little strength since it was sticking past the tag die. And now for the 2 winners from the Washi post the other day...Houses Built of Cards and Laura P.! I have contacted you both by email. Thanks so much for all the comments! 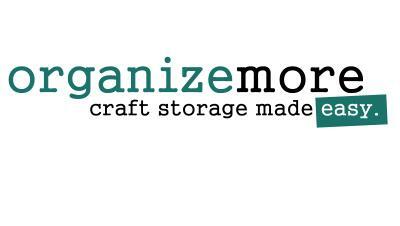 It was fun to read about how you all use Washi. Thanks so much for stopping in today! We will see you all next year! A washi hello and a giveaway! 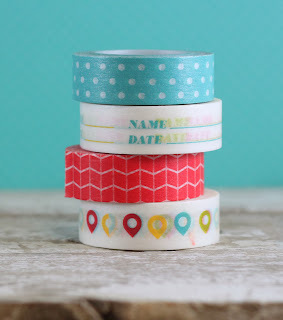 Do you love washi like I do? I remember when it was first coming out, I was like...eh. Well, its grown on me. I use it for everything. Masking. Taping down stencils. Taping down dies. Closing envelopes. Making packages pretty...the list goes on. So I have a fun little giveaway today. 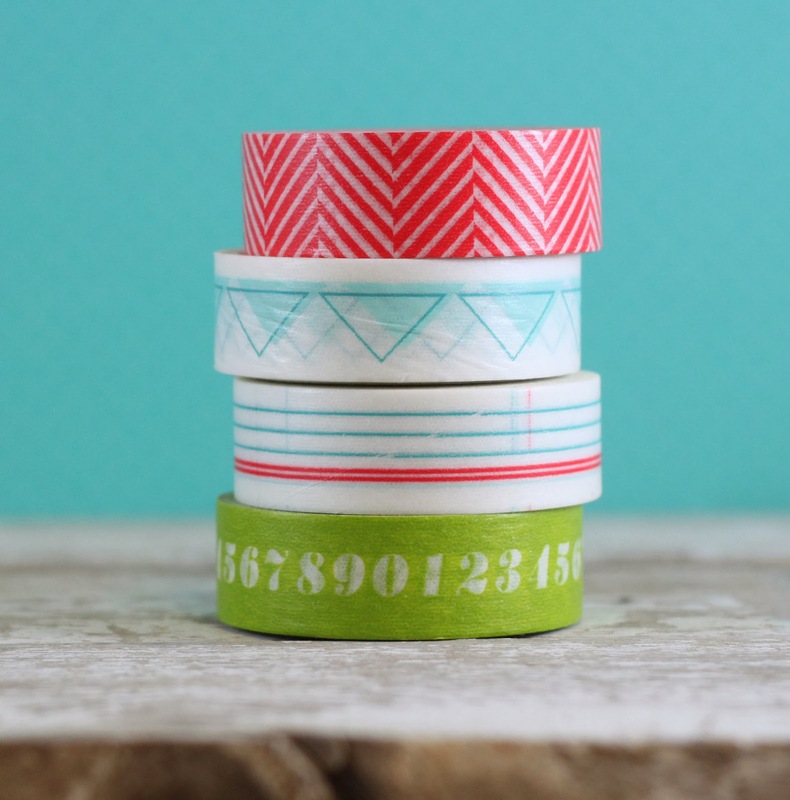 Kelly Purkey has some ADORABLE washi's in such a fun coordinating color combo. First let me show you my card using the tapes. 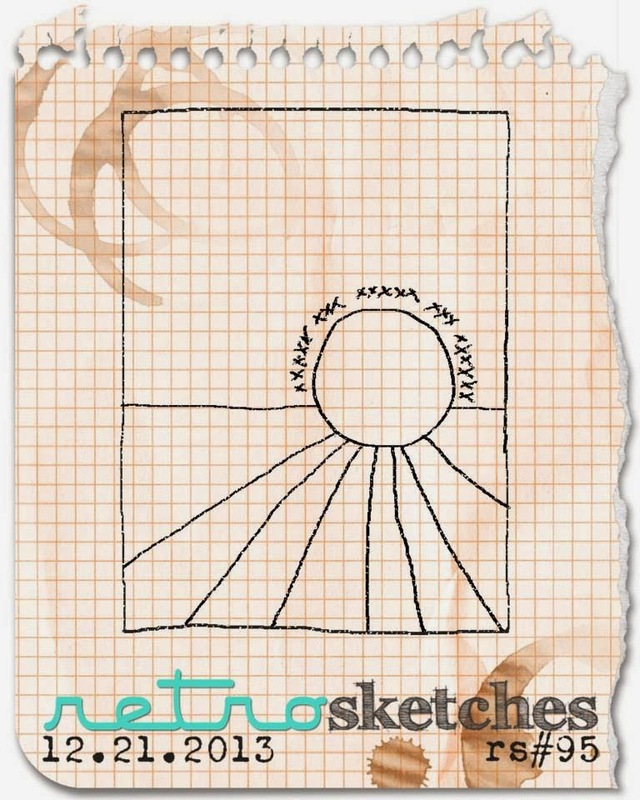 This card is also made using this week's new Retro Sketch. I cut out a 4' x 5 1/4" piece of card stock and put down 4 pieces of tape, wrapping them around the edges and to the back. Then I popped that up on foam tape onto the card base. Another stack up to make the sentiment pop...I think I used about 6 die cuts here and a little Tombow liquid glue. :) I love the big hello die from Simon Says and I love this little one even more! 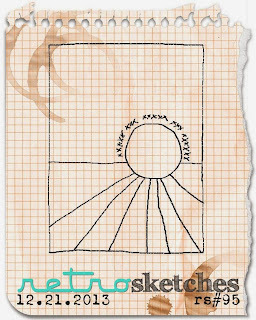 If you would like to play along this week, make up your own creation and link it up over at the Retro Sketches blog. 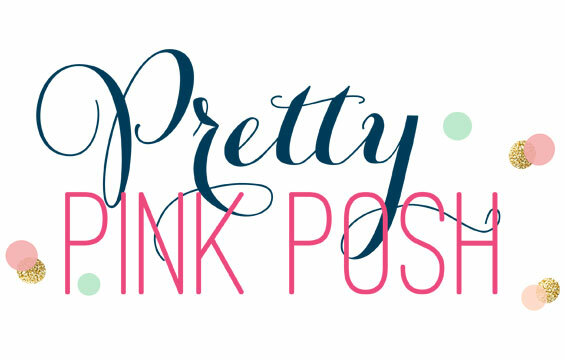 While you are there, check out what Arielle, Kasia and Michelle have created this week. 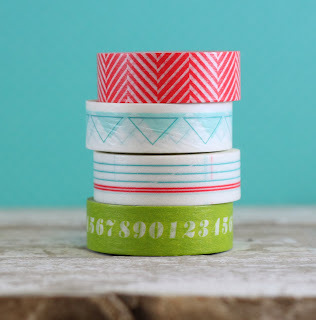 Just tell me what your favorite way to use Washi and I will pick a random winner. The giveaway will end Monday night, December 23rd at 7pm CST and I will announce the winner on Christmas Eve. Thanks so much for stopping by today! I always appreciate your visits! Have a great Saturday. ...My own version of hot cocoa in a box....turned Coffee in a box, Teacher Gift! I found these adorable boxes at Hobby Lobby for 99 cents. If you only had one to make you could decorate these up so cute. But since I have limited time and lots of boxes, I went with the washi strips and a snowflake! Easy! Next, I knew I needed either a card or a tag, so I went with a tag. I love love this sentiment from Reverse Confetti's set called Be a Barista...it's perfect for this! The tag is also a Reverse Confetti tag. Next I grabbed a big ole stack of Starbucks reusable cups and lids. They are only $1 and I thought it added a fun touch. The moms I am making these for will add their own Starbucks gift card in to the box, putting them right into these cups. I made 2 spoons per box. One with a tag and one with a bow. I found this crunched up paper at Hobby Lobby too. I mixed red and white just for some more color against the kraft boxes. I added twine and a bell on one side....the bells are from my good friend Paulina's Etsy store! The link is below in the supply list. One more shot of the inside. There is a a little extra room in these, if you have more treats. Otherwise, its the perfect size just for the cup and spoons! Here are some quick pics on how I made the spoons. There were a bajillion tutorials all over Pinterest of course, but I just made these up in about 5 minutes. You can click on the pictures to see them larger in Flickr and read my notes. I hope it's helpful! 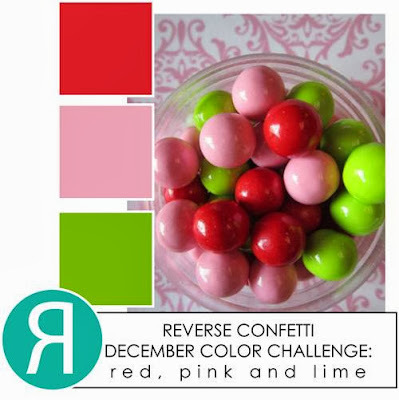 I love love today's color challenge over at Reverse Confetti. Even though I went with a mostly white card....I still love these colors together. 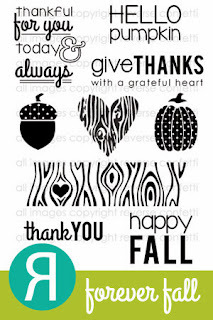 It could be Christmasy or even a baby card....or how about a thankful card? I cut out 3 tags....one white, one simply chartreuse and one striped red and pink. 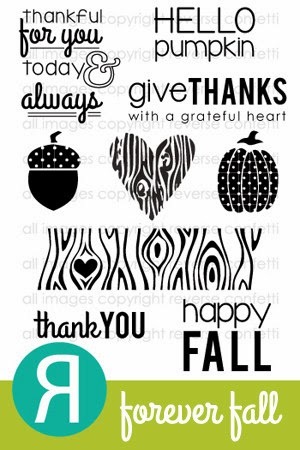 I layered them together after stamping this sentiment from Forever Fall. I kept the rest of the card white and added in an enamel dot to fill in the hole. The color link list will be open from the 16th until noon CST on the 29th. The color challenge will be posted in the sidebar and you will be able to click on it to get to that month’s challenge post with the link list during this time. Just like the Sketch For You To Try, we are allowing “anything goes” until the end of the year. 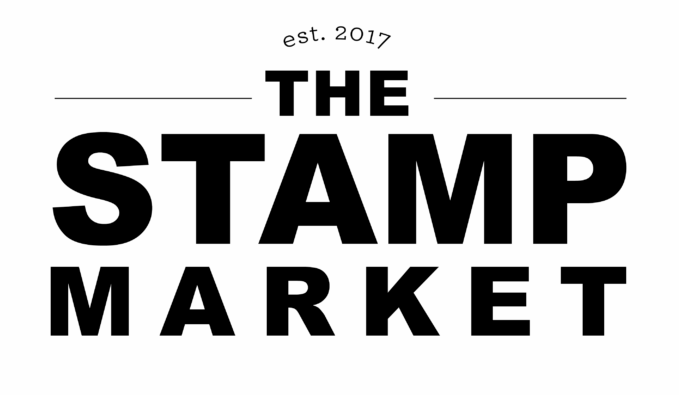 Note, that we will be adding the Reverse Confetti stamps only in January. There will be a winner each month and that person will receive a $20 gift certificate to the Reverse Confetti store and claim the title of ‘Fetti Fave. The winner of Color Challenge will be posted on the Reverse Confetti blog on the 30th of each month. I hope you can play along with us! Thanks for stopping in today!